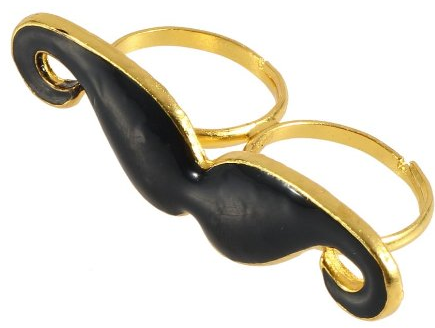 Two Finger Mustache Ring Only $1.38 PLUS FREE Shipping! You are here: Home / Great Deals / Amazon Deals / Two Finger Mustache Ring Only $1.38 PLUS FREE Shipping! make excellent party favors for some goofy summer party fun! Get yours NOW!